2017. Watercolor, ink, color pencil. 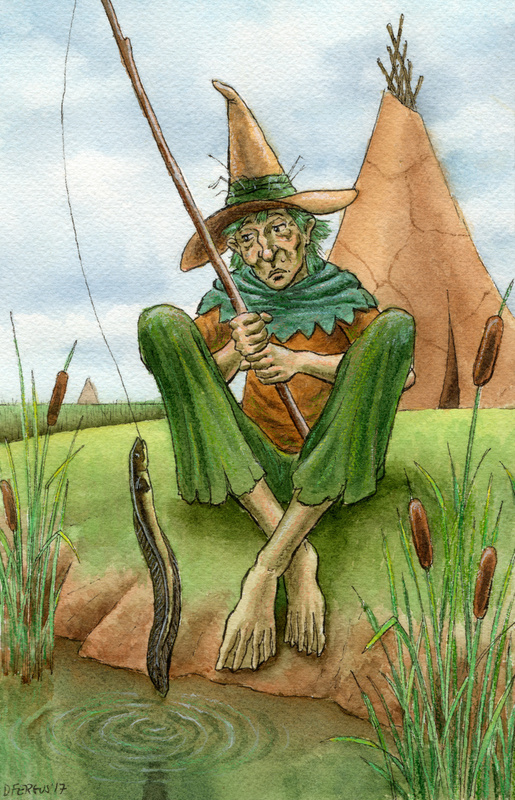 6" x 9½"
Puddleglum is not a witch, nor a wizard; he is a Marsh-wiggle, a dour, morose creature found in northern Narnia. Puddleglum is my favorite character in C.S. Lewis’ The Silver Chair . Actually, he may be my favorite character in the entire Chronicles of Narnia.